Calculators contain metals that are toxic to the environment when they’re not properly processed, so don’t throw them in the trash. As long as your calculator still works, you can sell it to sellyourcalculators.com or cash4calcs.com. Not only do you get cash, but your calculator gets reused and you keep one more piece of e-waste out of the landfill. Best Buy will recycle calculators and many other home electronics for free. They also offer a trade-in program for more desired electronics. They accept up to three items per day from each household. Find a location. Staples offers free, in-store recycling for unwanted electronics, including desktop computers, tablets, monitors, printers and other electronics. Locate your nearest Staples. 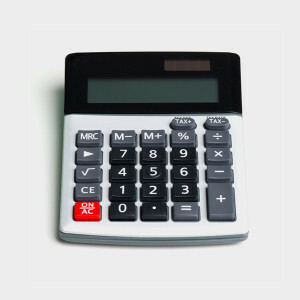 If you have a smartphone, consider the calculator application for basic arithmetic instead of buying another calculator. Most computers also come with a simple calculator, and you can download graphing applications for free.